Aloe Vera, a plant with countless and abundant medicinal benefits is a native plant of Northern Africa. Though originating in the hot, extremely dry, parched regions of Northern Africa it is seen in abundance in the tropical and sub tropical locations of Latin America, South Africa and the Caribbean. The history of aloe vera dates back to around 5000 years to the early Egyptian period where the plant was illustrated on stone carvings and used by the Egyptian queens to maintain their beauty and charm. This was referred to as the plant of immortality as it was considered as a burial gift to the dead Pharaohs. Aloe vera, a species of Aloe is a stemless or short stemmed perennial succulent which spreads by offshoots. It is symbolized by thick, fleshy leaves with serrated margin. There are more than 240 species of aloe vera grown mainly in the hot, extremely dry and parched climes of Africa, Asia, Europe and America. 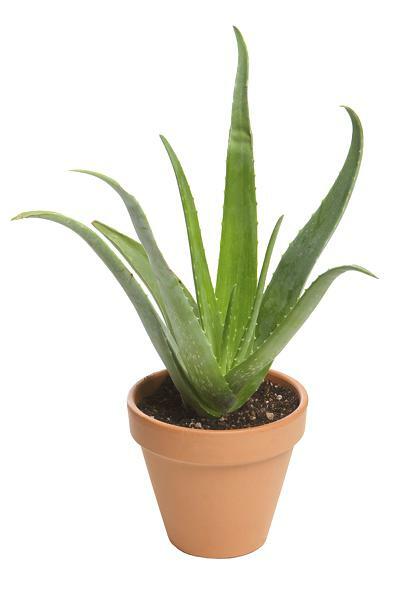 Although Aloe vera belongs to the member of the lily family it resembles a cactus plant with fleshy, thorny leaves. This unique plant also belong to a larger plant family called as the Xeroids. Of the 240 plus species only four are identified and recognized to possess nutritional value both to humans and animals. Aloe Barbadensis Miller has been extensively put to use by mankind because of the healing properties and medicinal benefits this magic plant possesses. Over the years aloe has picked up various names. However all the aloe species are not evidenced to possess the medicinal qualities and health benefits as aloe vera. Aloe Africana, Aloe Capensis, Aloe Indica, Aloe ferox, Aloe cactus, Aloe latex, Aloe vulgari, Alovis, Aloe mucilage and Cape aloe. It is also commonly referred to as the Burn plant, True aloe, First-aid-plant, Miracle plant, Bitter aloe, Plant of immortality, Lily of the desert, Elephant’s gall and Aloe coated gloves. They also call it as Aloe perryi, Aloe perfoliata, Aloe saponaria, Aloe spicata, Barbados Aloe and Aloe dhufarensis. The sanskrit name for aloe vera is Kumari Ghritakumari. Most of aloe vera benefits are in its gel. Aloe vera is a heavy, dense plant that is considered a succulent. You won’t find any soft foliage here, just broad, fat spikes that are filled with a clear gel. Snap off the end of one of the dense spikes and you’ll find a cooling gel that is ready to use as a quick home skin remedy. You’ll also find a thick, gooey pulp that can be processed into soaps, skin lotions and other topical treatments. Even a small aloe plant can add interest to a sunny windowsill or garden. Since aloe can grow to be 4 feet tall and almost as wide, you’ll eventually need to move it outdoors. Aloe is often used as an integral and useful part of the landscaping in hot or dry climates, thanks to its easy care and low watering demands. Aloe has many uses, and for soap makers, people with sensitive skin or with a chronic skin condition like psoriasis, an onsite aloe plant can be a constant source of skin soothing gel, in fact there are many home remedies for psoriasis that use aloe. You likely have a passing acquaintance with aloe, whether you’ve used a commercial preparation as a burn remedy or grown a spiky aloe vera plant to accent your landscape or garden. If you’ve only been using aloe as a simple remedy or ornamental, you may be missing out; the plant has many uses and is particularly good as a topical remedy for sensitive or irritated skin. First Aid: Aloe’s first and best use is for soothing minor burns, including sunburn. As a first aid ointment, the gel can be used directly from the plant – simply snap off the top of a leaf and apply to the skin. Aloe has been scientifically proven to help soothe the pain and inflammation of mild burns and injuries, and is an essential part of any natural first aid kit. Preparations made with aloe will have the same effect, provided they contain actual aloe in a measurable quantity. It is awesome as a razor burn treatment. Skin Conditions: According to the University of Maryland, aloe can help relieve the discomfort of some chronic skin conditions including, psoriasis, eczema and some types of herpes, though it will not cure these conditions. The rash and itch of poison ivy can often be reduced with regular applications of aloe as well. Edible Aloe: As recently as the 1950’s aloe was used as a digestive treatment; it has a laxative effect. Today, it is not recommended to consume aloe right from the plant; the pulpy latex once used as a laxative can cause stomach pains and cramping, so this practice is not recommended. Commercial aloe juices and powders do not contain the pulp that can cause this side effect, and are safe to consume. Aloe in soaps and preparations: If you enjoy crafting or creating your own bath and body materials, aloe is an important addition to your craft supply cabinet. The thick pulp found inside an aloe leaf can be blended and added to the liquid used to make cold or hot processed soap, while the gel can be added to lotion and balm recipes. The easiest and best way to use aloe is to simply keep a plant handy, either in your garden or in your home, and snap off a piece when you need it. The aloe gel that is extracted from the leaf is used topically to cure minor burns and cuts effectively. It is believed to contain active compounds that reduces pain and inflammation and stimulates skin growth and repair. It also proves beneficial for sun burns. It has proved highly helpful and effective for curing pimples and acne. Hence this gel is implemented in soaps and various creams.It also improves skin tone and clears skin blemishes.Its anti-bacterial and anti-inflammatory properties reduces inflammation and kills the bacteria that causes acne. It acts as an effective skin moisturizer to revitalize and rejuvenate the skin by relieving minor skin irritations and disorders. Aloe latex, a yellowish bitter liquid derived from the fleshy leaves of aloe vera is acclaimed to be a powerful laxative. It is also an effective digestive stimulant. The anti-fungal properties of aloe vera promotes a healthy digestive system.It helps to cure bowel disorders and relieves constipation. Aloe vera aids in stimulating and boosting the immune system of the body. It is an effective home remedy for curing respiratory disorders and asthma. Aloe vera has been touted for various home remedies including treatment for heartburn and skin irritations caused due to insect bites. The perfect way to alleviate symptoms of heart burn is to consume a cup of aloe vera juice. Aloe vera juice is a ideal remedy for itchy scalp, excess oil and dandruff. It acts as a good conditioner and protects and nourishes your hair from becoming dry. It can also be used in conjunction with other home remedies for hair growth as it nourishes and helps make the fibers strong. 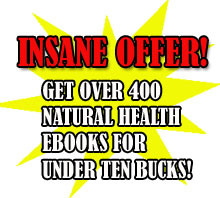 It is an effective home remedy for canker sores, herpes simplex viruses, gingivitis and cold sores. The US Food and Drug Administration does not guarantee fully for the safety of products that contain Aloe vera gel. It is the users responsibility to read the instructions carefully before using the product. If you have a medical condition it is best to take the advice of a medical practitioner. Using Aloe vera on wounds have been reported of very slow healing. Moreover the use of aloe vera juice for laxative purpose can even cause cramping and diarrhea. Aloe vera is also believed to cause electrolyte abnormalities in the blood and reduced levels of potassium. 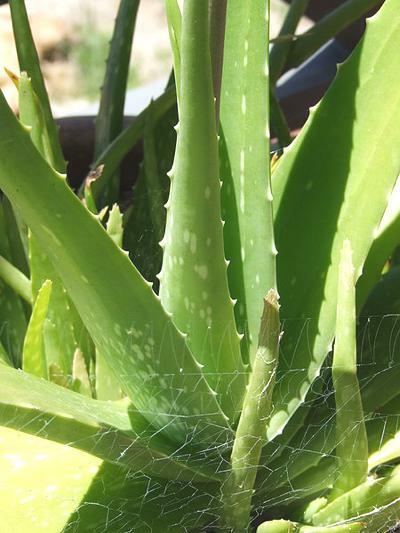 Moreover people with thyroid, heart and kidney diseases should use oral aloe only under strict medical supervision. Aloe Vera which highly rich and abundant in minerals, vitamins, amino acids and magnesium is regarded as a silent healer. Many people grow aloe vera in their backyard garden as it is noted for its distinctive and unmatched healing qualities.